Four players including Cooper Kupp from Eastern Washington, Steve McShane from Western Illinois, Jaheem Woods from Stony Brook, and Lorenzo Jerome from Saint Francis have been selected as the College Sports Journal All-Stars for the week ending September 4th, 2016 in the NCAA Division I Football Championship Subdivision. The honorees are listed here with their achievements and their position, school, class, height, weight and hometown. 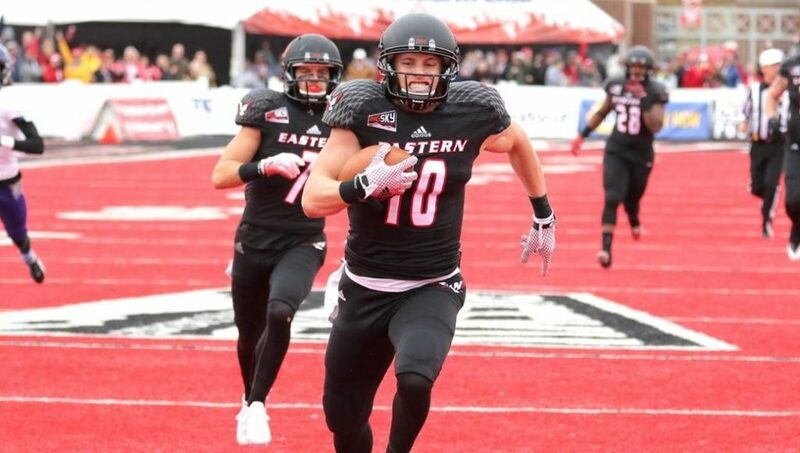 Kupp became the all-time leader in touchdown receptions at the FCS in helping the Eagles upset FBS Washington State 45-42. He caught 12 passes for 206 yards and three touchdowns, giving him 59 scores for his career to pass David Ball, who played at New Hampshire. Kupp also completed a pass for 22 yards and had two carries for 29 yards. He has now played against four Pac-12 opponents in his career and tallied 40 receptions for 716 yards and 11 touchdowns. McShane turned in his best day within college–rushing for 207 yards and two touchdowns. 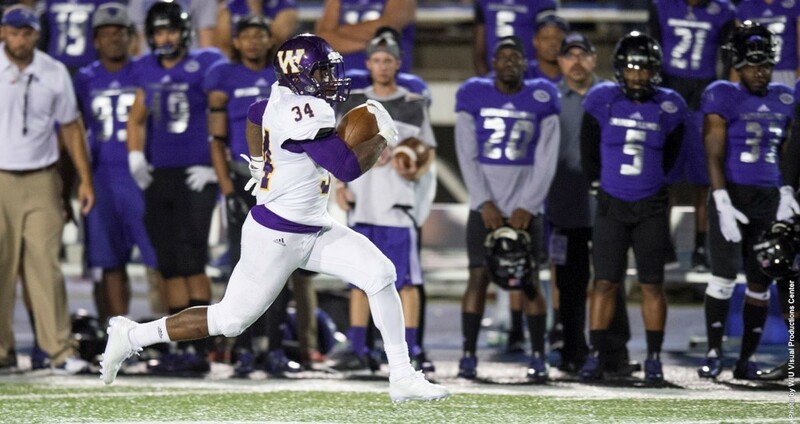 He also added 56 yards on four receptions to give him 263 all-purpose yards in the Leatherneck victory at at instate rival Eastern Illinois of the Ohio Valley Conference. His 207 yards were the most by a Leatherneck since Herb Donaldson in 2008, and his 70-yard TD run was the longest run in 16 years. His second half against EIU put him in the record book. His 168 rushing yards in a half was the fourth-most in program history while his 110 yards in a quarter (fourth) ranked him sixth. 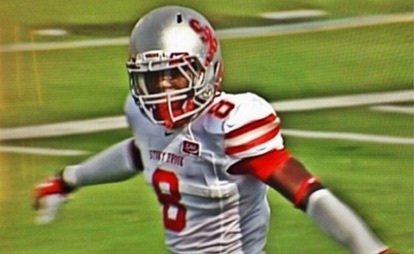 Stony Brook was looking to replace some of the pass rush lost with the graduation of Victor Ochi, the 2015 CAA Football League co-defensive player of the year. Woods delivered in the Seawolves’ 13-9 defensive gem over North Dakota. Woods, playing the whip position, recorded career highs with 11 tackles, five tackles for loss and three sacks. The team captain’s final sack pinned UND deep in its own territory and led to a blocked punt and game-winning touchdown on the next play. Stony Brook held UND to 177 offensive yards. Jerome made a huge impact on kick return, totaling 196 yards on four returns. 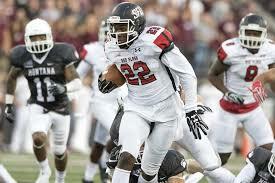 Hehad a 79-yard return for a touchdown as well as an 86-yard return in the third quarter. After a Montana touchdown early in the third quarter to go ahead 13-10, Jerome busted an 86-yard return, getting tripped up at the Montana seven yard line. In the fourth quarter, with Montana leading 34-17, the Grizzlies tried to squib kick to keep the ball away from Jerome. However, Jerome picked it up at the 21 yard line and took it up a seem to the right sideline and scored. Jerome, the FCS leader in kick return average last season, is off to a good start in 2016, averaging 49 yards per return.